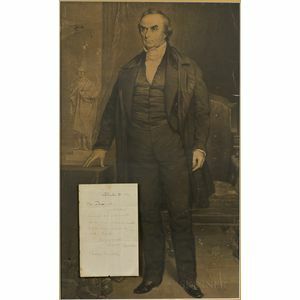 Webster, Daniel (1782-1852) Autograph Note Signed, 8 April 1852. 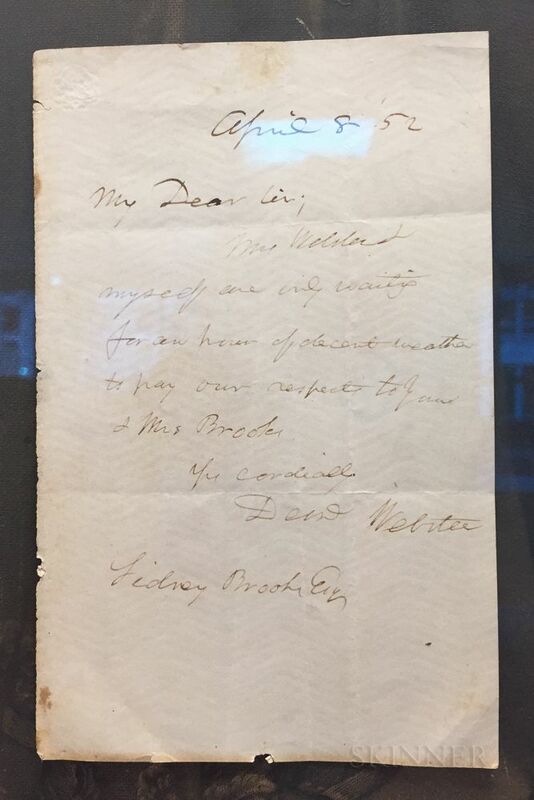 Webster, Daniel (1782-1852) Autograph Note Signed, 8 April 1852. 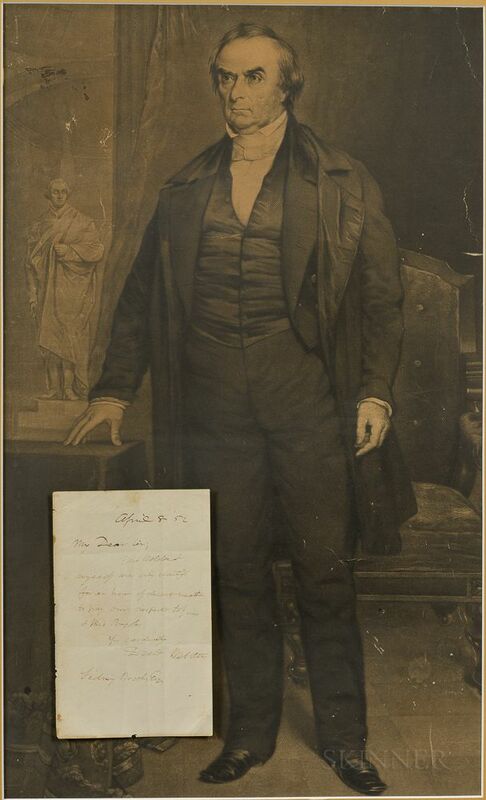 Single leaf inscribed on one side, to Sidney Brooke (or perhaps Brooks) noting that he and his wife are "waiting for an hour of decent weather to pay our respects," framed with a large portrait of Webster, the note 6 x 3 3/4 in.